The nominations for the 30th Hong Kong Film Awards have been announced. 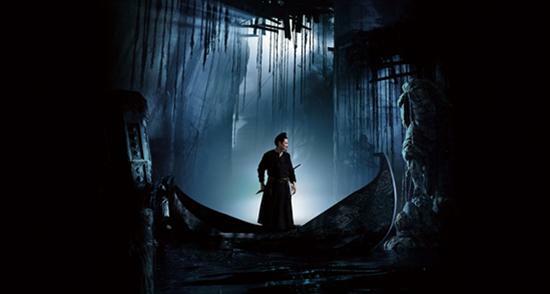 Tsui Hark’s 狄仁傑之通天帝國 (Detective Dee And The Mystery Of The Phantom Flame) leads with 13 nominations. 劍雨 (Reign Of Assassins) followed closely behind with eleven mentions. 葉問2 (Ip Man 2) was next with ten nominations, followed by 綫人 (The Stool Pigeon) with eight and 打擂台 (Gallants) with seven. Each of the five leaders was nominated for Best Film in addition to Best Director. The films nominated for Best Asian Film were 山楂樹之戀 (Under The Hawthorn Tree), 父後七日 (Seven Days In Heaven), 告白 (Confessions), 唐山大地震 (After Shock), and 艋舺 (Monga). The ceremony for the 30th Hong Kong Film Awards will take place at the Hong Kong Cultural Centre on April 17. Have you heard anything about the U.S. Release of Bruce Lee, My Brother if it will play in theaters? Bruce Lee, My Brother got picked up by the Weinstein Company and was to have had a North American release but I don't recall that happening yet. I understand the DVD is already available in Hong Kong.